"The death toll rose to 23 killed and 107 injured, including security forces and civilians," an official from the press office of the Ministry of Public Health told Efe on condition of anonymity. Terror group Islamic State had claimed the attack and said it was targeted at the Vice-President and his supporters. Kabul: The death toll in a suicide attack near the Hamid Karzai International Airport in Kabul, that took place shortly after a plane carrying Vice President Abdul Rashid Dostum had landed, climbed to 23 on Monday while the number of wounded rose to 107. Dostum, who had gone into self-exile to Turkey last year amid an investigation that his bodyguards allegedly tortured a political rival, was received on Sunday by dozens of supporters and local authorities at the international airport just minutes before the attack. He escaped unscathed. He added that the ministry was still working out the details of the casualties to identify how many of them were civilians and how many were police officers. Dostum is one of the most powerful Afghan warlords with a reputation for being bloodthirsty and a record of constantly switching his loyalties during the wars in Afghanistan since the Soviet invasion (1979-89) to the fall of the Taliban regime following the invasion of the country by the US in 2001. Meanwhile, Pakistan on Monday strongly condemned the terrorist attack near the Kabul Airport. The Pakistan Foreign Ministry expressed the "deepest sympathies and heartfelt condolences to the families and friends of those who have lost their lives". 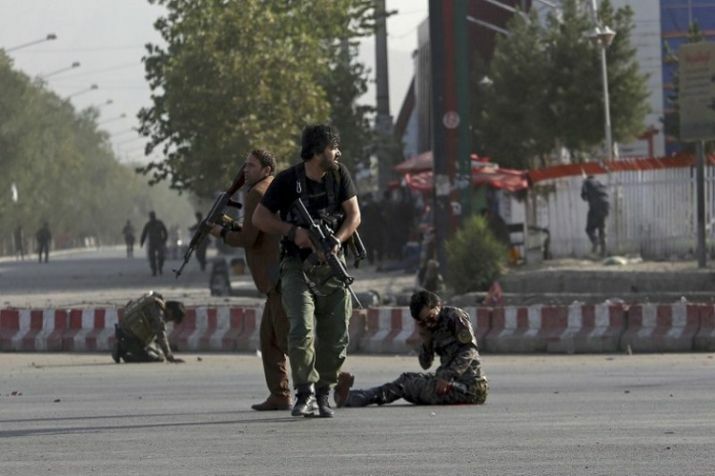 "We express our support and solidarity with the people and government of Afghanistan in this hour of grief," the ministry's spokesman said in a statement. He said Pakistan reiterates its condemnation of terrorism in all forms and manifestations and the resolve to eliminate this menace.